Canadian winters are cold, but that doesn’t mean that you have to be. While it might be tempting to cut corners to finish a job quicker and get back inside, many jobs require us to work outdoors for long periods of time despite the dropping temperatures. While style isn’t always the focus when it comes to staying warm, it is important to stay visible and safety compliant while bundled up in the winter. However, it can be expensive investing in a parka that meets your local safety standards. 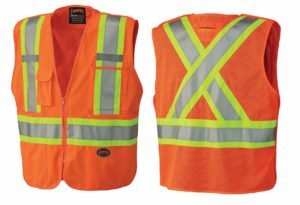 These Premium High-Viz Safety Mesh-Back Vests use 3M Scotchlite reflective material, making it CSA Z96-09 Class 2/Level 2 compliant which make them the perfect layer to throw on top of your winter gear to ensure that you’re visible in snowy conditions. Each vest features a zippered front with a five-point tearaway on the left side, four sealed pockets, a radio clip strap and a D-ring access slot. Though slips, trips and falls happen year-round, working outdoors in the winter can be especially dangerous. Prevent losing your balance on icy surfaces with these ice cleats. 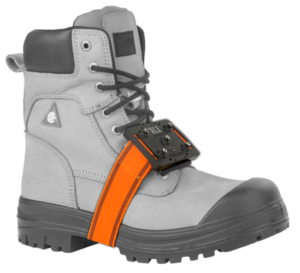 This one-size-fits-all solution adds traction for those working in icy and snowy conditions. Designed for all industrial footwear, these cleats help you trek through snow safely and can easily be rotated to the top of your shoe for when you’re driving or walking indoors to eliminate the hassle of taking them on and off. 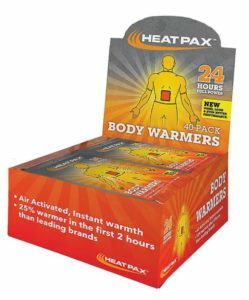 Heat Pax warmers are the perfect way to add a little extra warmth on a chilly day. With hand, toe, foot and body options available, you can pop a pair into your gloves, shoes or pockets for up to 20 hours of warmth! Standing up against cold winds can sting. Avoid getting dry skin and cold stress by layering on a balaclava before you head outside. 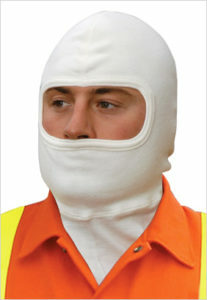 These face and neck warmers are an easy solution to keep you protected from strong winds and allow you to work comfortably. Isn’t it a pain when your safety glasses fog up when you go between the indoors and outdoors during the winter months? The Honeywell Uvex Seismic eyewear line can help. Its anti-fog coating provides 90 times longer-lasting anti-fog performance than the majority of other anti-fog products on the market. Plus, its cushion-lined frames help protect against impact, debris and cold winds. Remember, there’s no such thing as bad weather – only bad clothing! Good luck, stay warm and find your winter work solutions online here.